In this Sept. 22, 2016, file photo, Paul Simon performs onstage during "Global Citizen: The World On Stage" at NYU Skirball Center in New York City. 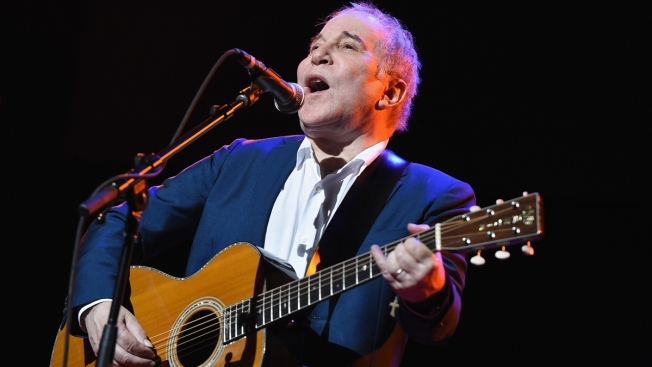 Only a few days after Elton John announced he will retire from touring in three years, another venerable music figure is throwing in the touring towel: Paul Simon. Simon, 76, took to social media Monday to say his upcoming tour will be his last, citing the personal toll of touring and the death of his lead guitarist, Vincent N'guini. "I feel the travel and time away from my wife and family takes a toll that detracts from the joy of playing," he wrote. Retiring from the road "feels a little unsettling, a touch exhilarating, and something of a relief." Tickets for his "Homeward Bound — The Farewell Tour " will go on sale Feb. 8. It kicks off in May in Vancouver, Canada, and will take him across North America and Europe. His last date is July 15 in London with James Taylor and Bonnie Raitt as special guests. Simon's best-known songs include "The Sound of Silence," ''Mrs. Robinson," ''Bridge Over Troubled Water" and "Diamonds on the Soles of Her Shoes." Paul Simon is a member of the Songwriters Hall of Fame and has been inducted into the Rock 'n' Roll Hall of Fame, both as a member of Simon & Garfunkel and as a solo artist. The singer-songwriter said he will still do the "occasional performance" after his last tour. Late last month, the 70-year-old John said his upcoming would tour would be his last, saying he wanted to spend time with his family. His "Farewell Yellow Brick Road" tour will end in 2021.